Posted on June 18, 2014 by Liz O. Last week was E3, so I spent a good chunk of time Metro-ing back-and-forth from Los Angeles Convention Center. This was my second time attending E3 with a badge. (I went badgless two other times.) It’s much different from the events that I normally cover, mostly because it’s a trade show rather than a fan convention. It’s much more similar to NAMM, the music trade show in Anaheim, than it is to San Diego Comic-Con. I wrote E3 stories for L.A. Weekly this year. “Why Aren’t There More Women in the Video Game Industry?” features interviews with women who make games, write about games and are otherwise involved in the industry. “Oculus Rift Gives You Magical Powers in a New Video Game Set in 2020 L.A.” spotlights a game I tried out at IndieCade’s booth. Anamnesis was created by two USC students and uses Oculus Rift to present multiple points of view in a narrative game. Aside from E3, there has been quite a bit going on lately. Paper Magazine sent me on assignment to check out Cut Your Teeth, an underground dinner party from Wolvesmouth mastermind Craig Thornton and artist Matthew Bone. For KCET’s Artbound, I met up with writer/photographer Mr. Bonzai and sculptor Keiko Kasai at their home/studio. The two have been together for 30 years and Mr. Bonzai recently unveiled three decades of drawings he created based on Kasai. 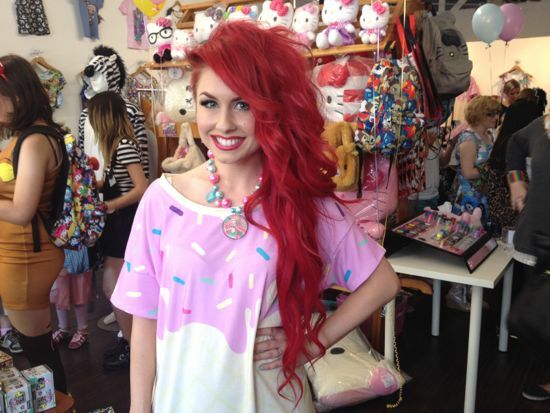 Last weekend, Traci Hines was at Japan L.A. for an Adorkable Apparel pop-up shop. Hines is a singer who gained a lot of popularity thanks to her resemblance to Ariel from The Little Mermaid. I talked to Hines about how she channeled that popularity into a nifty clothing line for my latest L.A. Weekly column. Stay tuned because there will be more stories coming out in the next few days. Posted on June 5, 2014 by Liz O. 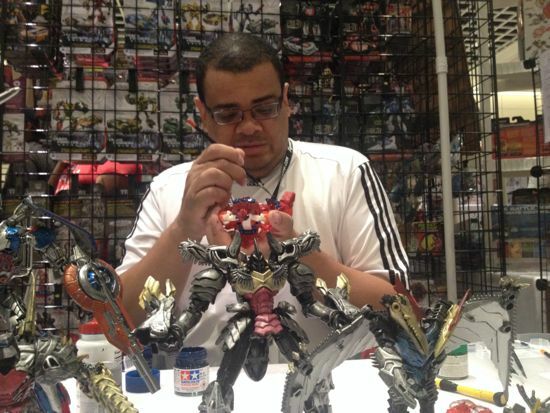 Last weekend, I went to Long Beach Comic Expo and was excited to interview Jarod Lee Nandin. 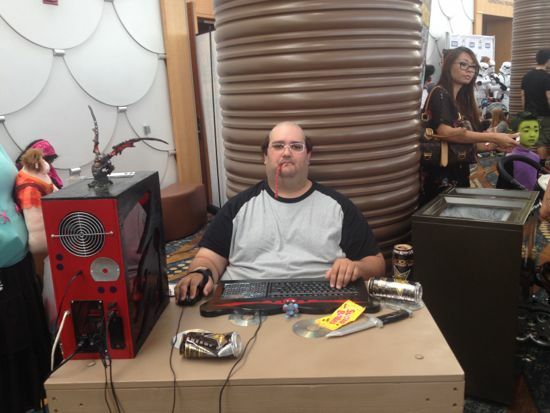 He cosplays Jenkins, aka The Griefer, aka “that which has no life” from the South Park episode “Make Love, Not Warcraft.” It’s a particularly genius episode of South Park. I remember watching it at my friend’s house and almost falling off the couch because I was laughing so hard. Anyhow, I previously saw Jarod at a couple other conventions and admired his costume, so I asked him for an interview and he kindly obliged. Jarod is a super cool guy and very friendly. I figured that someone cosplaying such a minor South Park character would have to have a good sense of humor and now believe this to be a correct assumption. 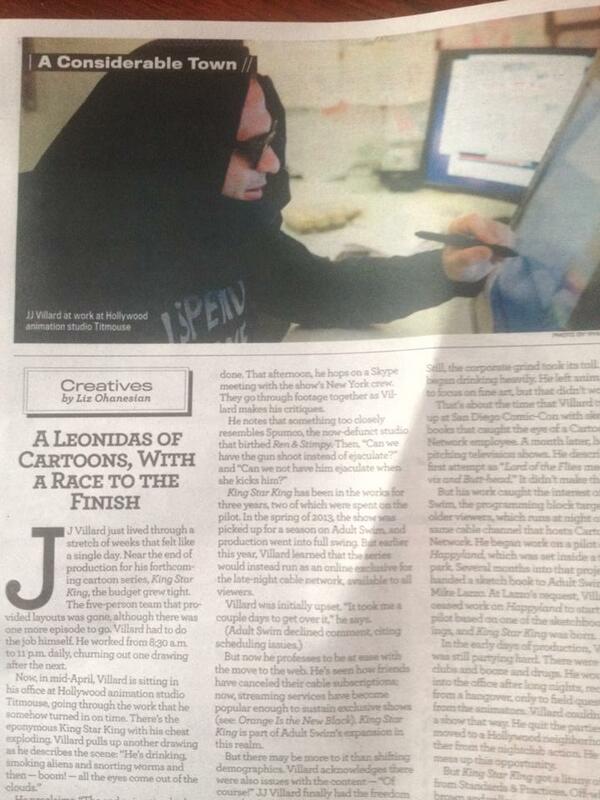 You can read the story in this week’s “Cult Stars” column for L.A. Weekly. Otherwise, things have been pretty busy lately. I’ve been working on freelance goals and, most of the time, I’ve been meeting them. It’s nice to see how things work out when you actually make spread sheets and write stuff on white boards. I just updated my clips for the first half of 2014, so you can catch up on stories there. It’s not everything, just some stand out pieces. Amongst the highlights are my first feature for Boing Boing (on Sailor Moon) and an interview with Herb Alpert that I still can’t believe happened. There’s also a tour of Cartoon Network’s Burbank Studios, a Jem and the Holograms think piece and a personal story in which I make my husband sit down and watch the original Star Wars trilogy with me. He never saw it. I’m kind of a nerd about it. Next week, I’ll be at E3. 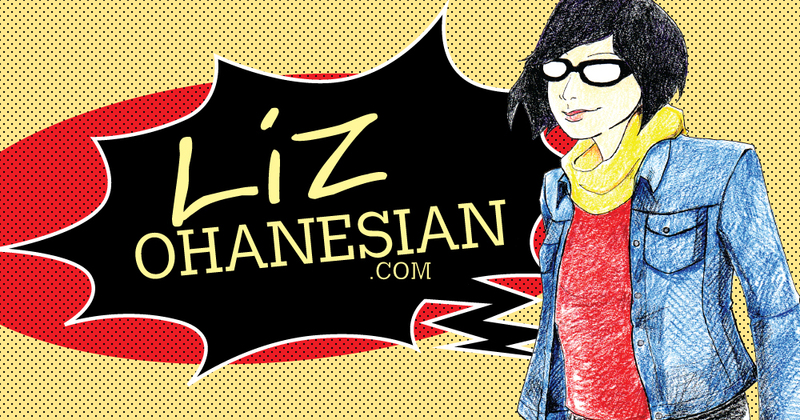 If you want to follow the adventures, look up @lizohanesian on Twitter.